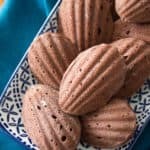 Having grown up in with an extended family full of talented Portuguese cooks and bakers, I know all about the role that beautiful (and often elaborate) desserts can play in European family gatherings. 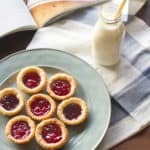 It’s something that Grace Massa Langlois is also quite familiar with – she’s been sharing her beautiful desserts and family stories on her blog, Grace’s Sweet Life, for just a little over two years. So when I was recently asked if I’d like to review her new cookbook, which is also titled Grace’s Sweet Life, I jumped at the chance. Like the cover promises, this cookbook is Grace’s tribute to both classic and new-school Italian desserts, with recipes for everything from cannoli, biscotti and tiramisu to torte, tartufi and struffoli. The book begins with basic recipes for building blocks like pastry fillings and doughs, and then moves on to chapters devoted to full-sized cakes and cheesecakes, mini desserts, cookies and confections, pies and tarts, pastries and fried deserts, creams, custards, mousses and souffles, and last but not least, frozen and fruit desserts. Like Grace’s blog, the recipes in the book are accompanied by photos taken by Grace’s daughter, Liana, which show off the finished creations. Many of the recipes in the book are quite elaborate, with multiple separate components that must be prepared individually before being assembled into the final product. In other words, exactly the type of beautiful cakes, cookies and pastries you’d find at any Italian bakery worth its salt. Definitely not for the lazy or the faint of heart, though! 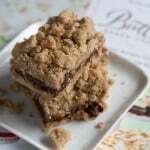 The step-by-step directions were fairly clear, though I did find myself occasionally wondering if I was on the right track, since the recipe doesn’t always provide much guidance as to what texture or consistency to expect – something that I find very useful when trying out an unfamiliar recipe. Anyway, I simply solved my problem by chilling the dough until it firmed up to the right consistency, but I could see this being a bit of a stumbling block for a newbie baker. And the finished pastries? 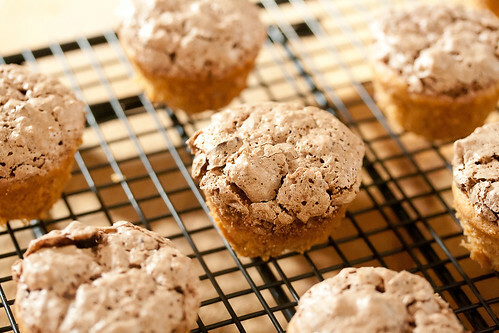 Minor quibbles aside, they’re utterly irresistible… it was all I could do not to inhale the whole batch in one sitting. 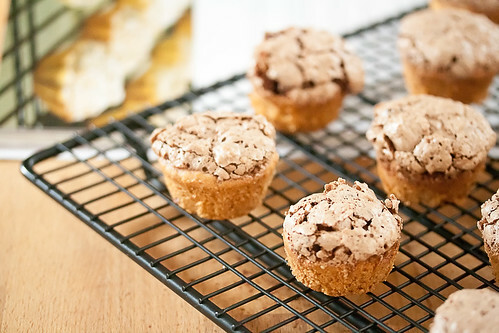 Despite the fact that they look like little tartlets, the base for these one-bite pastries is rather more like a crumbly cake in texture with a not-too-sweet flavour, while the hint of lemon zest is a perfect accent to the sweet chocolate-almond meringue. Not surprisingly, they’re utterly perfect with a cup of espresso. 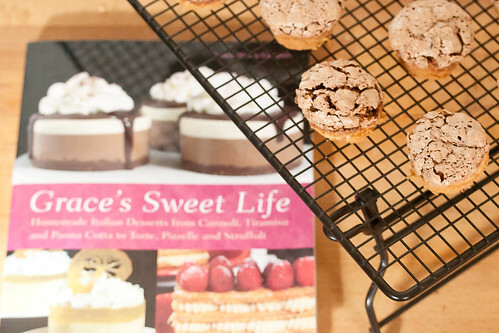 All in all, Grace’s Sweet Life would be a great addition to your collection if you’re a keen baker or a big fan of Italian desserts, particularly have the patience to tackle dessert recipes with multiple elements. I know I’ll be using it again! 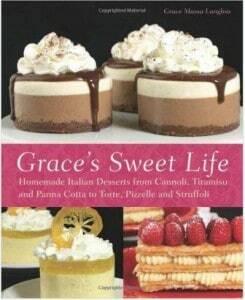 I was provided with a complimentary copy of Grace’s Sweet Life in exchange for writing this review. All opinions are entirely my own. Recipe and photo used with permission. In a stand mixer fitted with the paddle attachment, beat the shortening and sugar at medium speed for 2 minutes. Add the egg yolks and beat for 2 minutes longer. Add the vermouth and beat for 3 minutes longer. Meanwhile, in a medium bowl, whisk together the flour and baking powder. In a stand mixer fitted with the paddle attachment, beat the egg whites at medium speed until frothy. Add the sugar. Increase the speed to high and beat until the egg whites form stiff peaks. Add the cocoa, lemon zest, and vanilla. Beat to just combine. With a large rubber spatula, fold in the almonds and chocolate chips. Set aside. 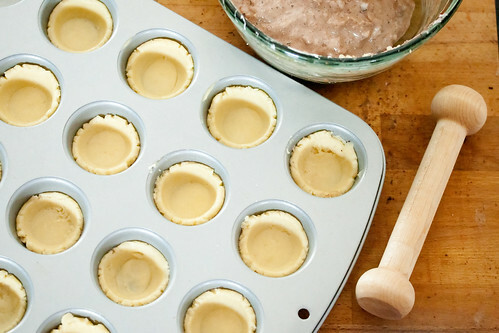 Scoop out 1 teaspoon of dough, roll it into a ball, and place it in a tart pan. 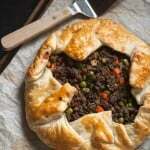 Use your fingers to press the dough into the sides and bottom of the pan. Repeat with the remaining dough and tart pans. Arrange the pans on a full sheet pan. 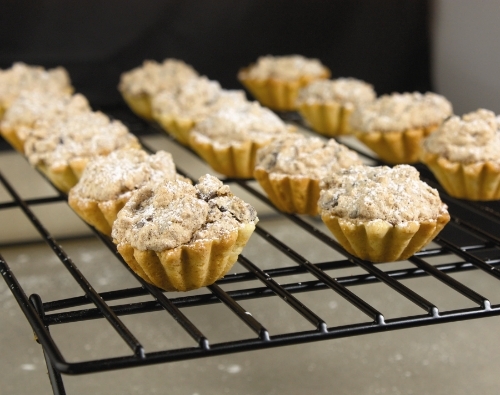 Fill each tart shell with a large dollop of chocolate-almond filling. The tart should be almost overflowing because the filling tends to shrink, but make sure the filling does not touch the edge of the pastry where it meets the top of the pan because it could make the pastry stick. Bake until golden, 20 to 25 minutes. 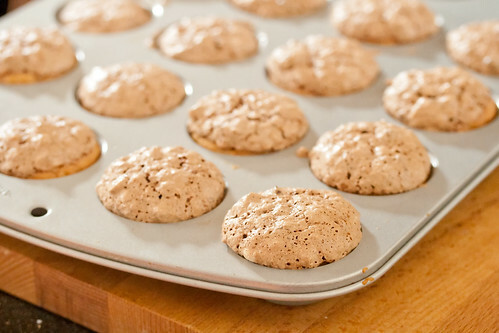 Remove the tins from the oven, and immediately remove the cookies from the tins (use a toothpick to help with removal if the pastry sticks). Transfer to a wire rack to cool completely. If baking in batches, wash and dry tins between uses. To serve, dust with confectioner’s sugar. Awesome review and awesome looking bocconotti. I bet these would be fun at Christmas. What adorable treats! I love the unusual preparation and design for cookies. They’re clever, playful, and all around a very well done dessert! Great review of the book Miss Crumb. I love when people are totally honest. I am a texture gal too, it’s hard to know whether what you’re doing is right or not. I should remember that when I write my own recipes. I’m also a picture gal when it comes to cookbooks. I like tons of them. There is nothing I dislike more than a cookbook that doesn’t include a photo of the finished product. Nice to know her pics were good and the Italian numbers sound adorable.